Victor Gama is a Portuguese-Angolan musician and composer. His compositions are created using a method he terms the Golian Modes. This method involves the construction of the instrument becoming part of the process of composition. Gama draws on knowledge of traditional instruments and societies and combines this with new technologies to create his unique instruments. His instruments are developed for and alongside a specific composition or type of music to become the three-dimensional component of his compositions. You can find out more about Victor Gama at www.victorgama.org. 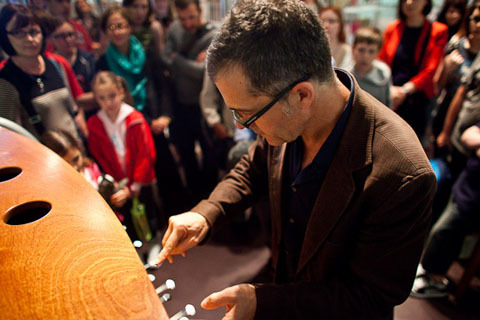 Victor Gama demonstrates one of his instruments, Tonal Matrix, at the opening of the National Museum of Scotland. 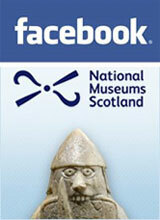 Victor Gama has worked with the National Museum of Scotland on many occasions. He created the four brilliant original musical instruments on display in our Performance and Lives gallery. 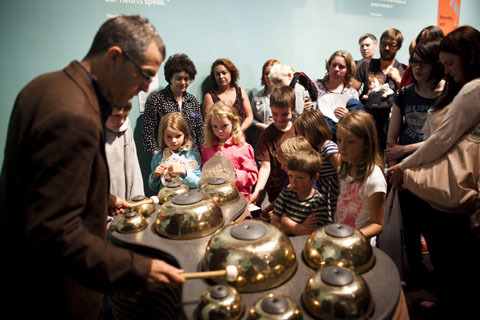 These instruments were created to be played by visitors in the museum and are specifically designed to sound more harmonious when played by several people at once. As part of our Stories of the World project we arranged to meet with Victor to hear his opinions on our ideas so far and to ask him about his work. We thought this meeting would be helpful for us with our project because our theme is Sounds Global, looking at music from around the world – something that he knows a lot about! 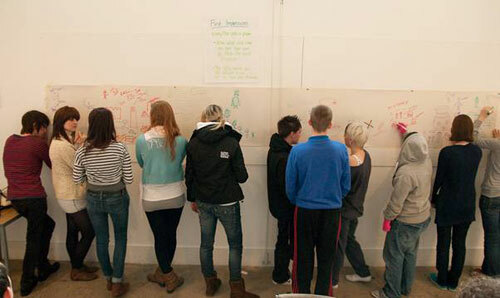 The discussion was very helpful to us in many ways: we thought a lot more about possible designs for the exhibition space, learnt of more relevant case studies to look into and came up with many ways of focusing in on our target audience of 16-25 year olds through new design, presentation and content ideas. Victor Gama demonstrates one of his instruments, Tipaw, at the opening of the National Museum of Scotland. Prior to our meeting with Victor we had fixed on the idea of ‘music and controversy’ as our theme for the exhibition and Victor came up with many potential case studies for us to look into, such as the life of Feka Kuti a Nigerian musician and Human Rights activist, music in Libya under Gaddafi and the music of the Orange protest March in Ireland. 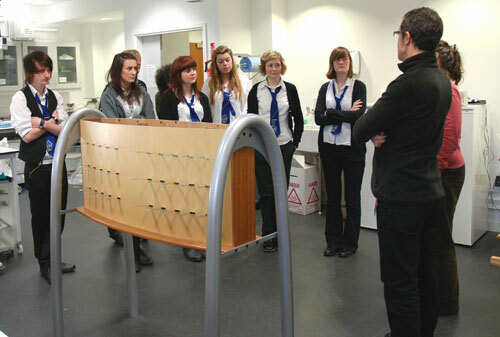 We then discussed potential design ideas for what is a challenging space to work in. This was very useful and we now feel that we have many potential original and creative ideas through which to make the most of the area and entice people into our exhibition space. Victor was able to help us with ideas on lighting, colour and creating the atmosphere we wanted for our exhibition. Now our project is moving on to explore possible objects and case studies in more detail, in order to finalise the content of our exhibition. Four of us involved in the project went to a Stories of the World conference in Leeds two weeks ago which was brilliant, as it meant that we got to see what other people were doing for their projects, what stage they had got to and how they were going about the process. Hopefully the information and ideas we gained at the conference will enable us to make the most out of this opportunity to co-curate an exhibition with the National Museum of Scotland. 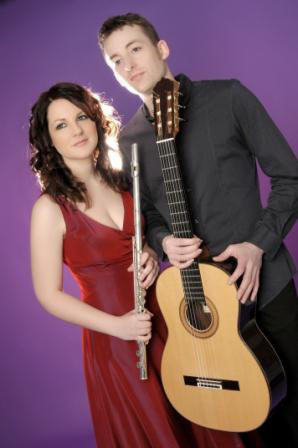 On Friday 12 August, as part of the National Museum of Scotland’s lunchtime ‘Free Fringe Music 2011’, the guitar and flute duo, Duende, played to a large and captivated audience. Duende consists of Andrew Robinson on guitar and Yvonne Paterson on flute and the pair specialise in playing South American and Flamenco pieces, aiming to “bring music into unusual places.” They aptly describe themselves as “…an exciting young Scottish duo with Flamenco flair…” Following the performance, I was given the chance to carry out a short interview with Yvonne Paterson. I asked Yvonne about the band’s name, Duende: a Spanish word with no direct English translation. Yvonne explained that ‘duende’ is intertwined with Flamenco and describes an indefinable moment in music or during a performance where a heightened sense of emotion and expression is felt by all. It is created through music and is equivalent to sensing a shiver down the spine or goosebumps when something connects with your emotions. Yvonne Paterson and Andrew Robinson of Duende. Next, we spoke about the relevance of the flute and the guitar to South American and Flamenco music. Yvonne told me that the guitar lends itself to Hispanic and South American music and, thus, this is the repertoire of music which is largely available. Andrew’s guitar is a Flamenco guitar and he has done some work with Flamenco groups. New settings of some South American and Flamenco music have been arranged by the pair to include Yvonne’s flute. However, this is not the case for the band’s entire repertoire. The pieces composed by Argentinean Astor Piazolla were written to include the flute. In Piazolla’s music, the composer wrote percussive “chicca-chicca” noises into the flautist’s part, which require the musician to blow sharply into the instrument rather than over it. Yvonne told me that this could be interpreted as a kind of beat boxing! During the performance, Duende also played Scottish and Irish tunes, so I asked whether the band’s Scottish origins influenced any of their South American and Spanish pieces. Yvonne told me that influences flow freely through the band’s entire repertoire and that it’s nice to have the freedom to, for example, play traditionally Scottish tunes on a Flamenco guitar. Similarly, throughout the Spanish-speaking world, musical ideas have travelled around. However, on this more international stage, Andrew and Yvonne told me that national and regional styles still tend to retain many of their intrinsic forms. Instruments in the Performance and Lives gallery at National Museum of Scotland. This gallery explores how sounds and rhythm are at the centre of ceremonies and performances. From listening to Duende’s performance and speaking with Yvonne, I noticed that the theme of dance ran through the music. Much of the South American music had been Tango music, whilst the Spanish music had been Flamenco. This suggested to me that there are some very strong links between dance, community, performance and music in the Spanish-speaking world which could be explored further by the museum. Interestingly, Duende also played an Irish jig as part of their repertoire which could serve as a reminder to us that all cultures have their connections between dance, music, community and performance. Speaking with Yvonne about the meaning of the term Duende also made me ask myself whether the UK has a similar notion, if not a word, for the heightened emotions felt during a performance? If so, what form does this take and where can it be found? Many thanks to Duende for their performance and to Yvonne Paterson for the interview! By Charlotte Kiddell, Stories of the World Young Ambassador. Stories of the World is a UK-wide initiative to coincide with the 2012 London Olympics, harnessing the excitement and world-attention of the Olympics and linking this to objects from around the world, in museums and galleries across the UK. Stories of the World has a UK based group which meets to talk about what has been happening with the project. The Stories of the World project invites young people to use cultural items to create an exhibition which will hopefully create a rise in young people coming to museums and experiencing this culture for themselves. The roles and the responsibilities of the steering group. Making a manifesto of what we want to do as a group and discussing what we like about museums and what we would like to see happen in museums. A day in Parliament next year to show people who we are and what we are doing. What we would like to see in our 2012 exhibitions. 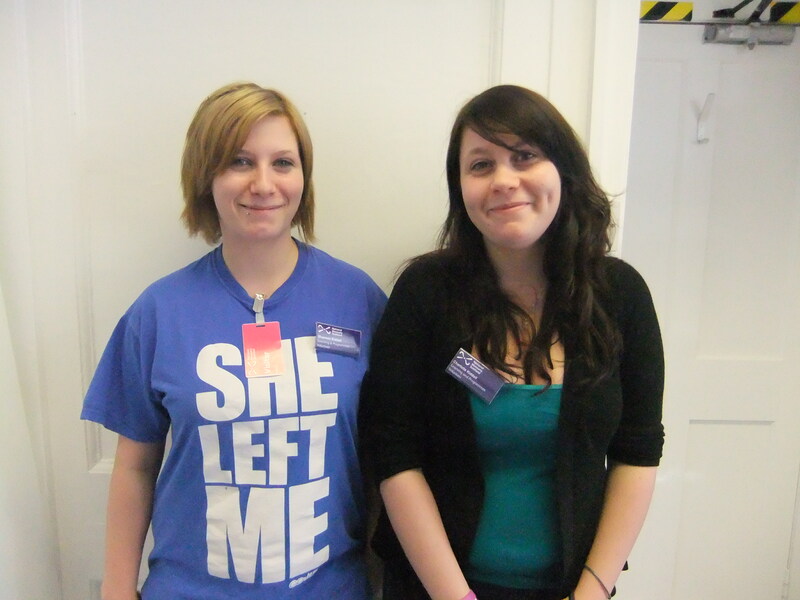 Shannon and Charlotte Kiddell, Young Ambassadors for Stories of the World. Power and participation for young people: this involves allowing young people to have a say and make a difference within their local museum, by using work experience or a one off exhibition day. Museums beyond their collections: this involves creating a place that is enjoyable for everyone as a social and creative space. Museums and the community: this involves bringing the museums to those who don’t have the means to get there and involving the community in their plans. Museums and relevance to present culture: making the museums culturally relevant to everyone, meaning they will make them fun and exciting and keep updating them and making them fresh. Accessibility for all: finally, creating a means for museums to be accessible for everyone, allowing the community to have a say on what goes on in the museum and making it plain and simple to understand. The day in Parliament means going to Westminster Abbey to shout about our achievements and make sure that people know what we have done. 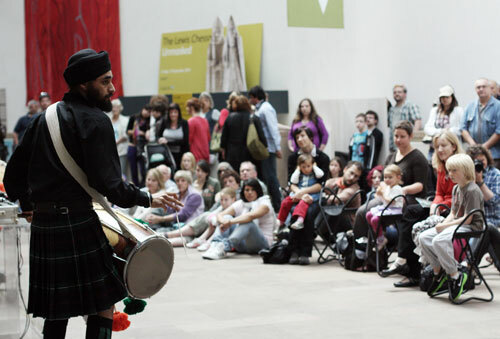 This will take place in 2012 and will involve a variety of media such as performances and poetry and a live debate discussing what we feel should be done culturally within museums. Tours done by young people. Highlight standards of local collections and contemporary technology. Shannon Kiddell and I created this event for young people called “murder at the museum” at the National Museum of Scotland for the Stories of the World project. As you can guess from the title it involved solving a murder mystery using the clues and dialogue from the characters involved. We roped in six drama students and one professional actor and let them have free reign in terms of the dialogue, based on characters created by us. The characters were called Richard Penicuik, Monica Greyfriar, Dean Mossman, Louise Bute, Marie Rossend and Humpfrey Mills and all were suspects in the murder of Dr Charlie Lewis, Scottish History Curator. The names were all based on objects in the Kingdom of the Scots gallery where the victim was found. The whole night’s dialogue was improvised from the actors’ minds and this helped to create a natural effect of nervousness and reality. 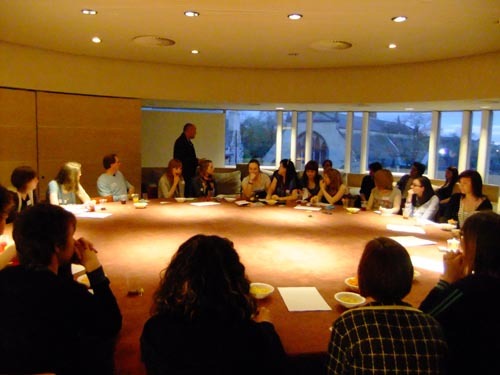 The night started with drinks and nibbles in the Boardroom: the weather was amazing and the windows made a cool effect as the sun went down. We had created mocktails and given them names like “murder she drank” and “Midsomer mocktail”. Gathering for the Murder Mystery Evening in the Bute Room at National Museum of Scotland. The group then went downstairs to the “crime scene” where they encountered a body, cordoned off with police tape. They had to find the clues stashed about and give them to our off duty “police officer” Ronnie Simons. They were then escorted back upstairs where they had to question the suspects and another character was revealed! Dun dun dun! The group then paused for a break where they had time to discuss what had happened and find the final clues for the night. 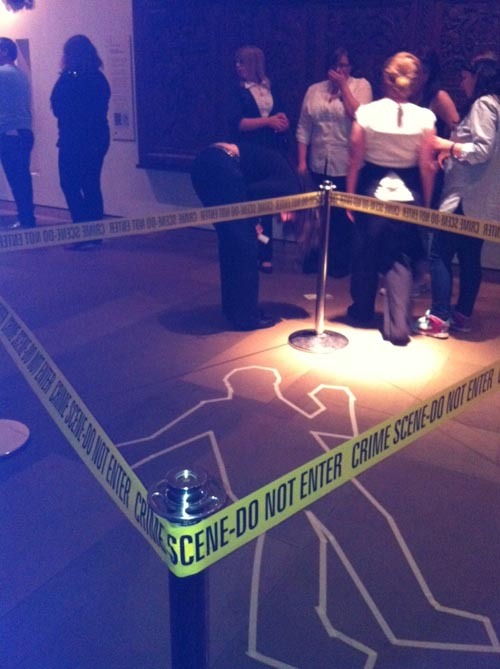 Scene of the crime at the Murder Mystery Evening at the National Museum of Scotland. After the break, the final character was revealed and all the suspects questioned. The policeman summed up the evidence and then gave the groups time to think things over. Luckily our clues were difficult enough yet not too difficult that the murderer was revealed; only one group got it! They were awarded prizes and then the guests left. We are very proud of our event and feel that it was a great achievement by the both of us. We are hoping to create more events based for young people and hopefully we’ll be given that chance based on the success of this night. 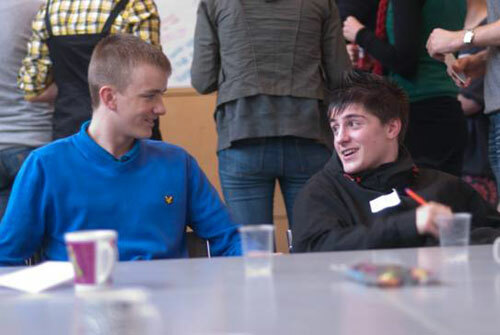 What do young people think about National Museums Scotland? 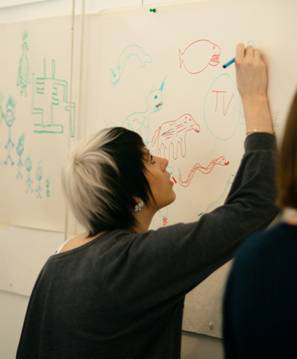 As part of our Stories of the World London 2012 project, Sounds Global, we have been working with consultants Space Unlimited to find out what young people think about National Museums Scotland. In three short, intensive and immersive days, staff from the museum worked with Space Unlimited and two groups of young people aged 16/17 years from Canongate Youth Project and Firrhill High School, Edinburgh. The young people drew images to represent what they thought of the museum. Drawing pictures of the museum. As the day went on, everyone became more relaxed. The young people worked hard but were supported and empowered to give honest feedback about National Museums Scotland: their final-day presentation to 10 staff from the museum was powerful and insightful. ‘I learnt that you can work with anyone, even people that you think you won’t get on with, on the first day,’ Hannah, Firrhill. 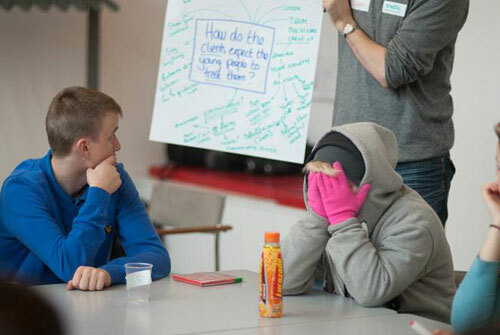 ‘[I’ve gained] More confidence to talk to people, like grown-ups,’ Martyna, Canongate Youth Project. We all ended the session feeling positive and energised, ready to make changes to how we work together. We’ve continued our contact with the young people, some of whom visited the National Museums Collection Centre for a behind-the-scenes tour. They even met composer-musician, Victor Gama, visiting from Portugal to work at our conservation labs on one of four instruments he has created for the new Performance and Lives gallery, which will be one of 16 new galleries unveiled when the transformed National Museum of Scotland fully reopens this summer. The gallery will inspire our Sounds Global installation and it was great for the young people to hear, first-hand from Victor and Museum staff, more about the project. Meeting Victor Gama at the National Museums Collection Centre. Now we know more about what attracts and motivates young people to engage with the museum, we’re starting to feed some of our findings into our programme for 2011, and will continue working with the young people to develop this and the Sounds Global project. ‘Careful with the ones that are made out of fish skin’. I began the morning of Saturday 24th July by carrying 38 different types of drum collected throughout the world through the galleries of the National Museum of Scotland with the musician Pete Vilk. The drums were being set up for drop-in music workshops that would allow visitors to the museum to take a tour of rhythms from three different areas around the world. Pete is a drummer, percussionist, composer, sound designer and workshop leader. He keeps his drum collection in his garage at North Berwick and had filled his car with just a fraction of them, to allow visitors the chance to try their hand on a variety of instruments he has collected from around the globe. As the peace and quiet of the museum gave way to more hustle and bustle towards lunchtime, Pete began drumming high above the central hall and watched as a stream of curious people of all ages appeared. 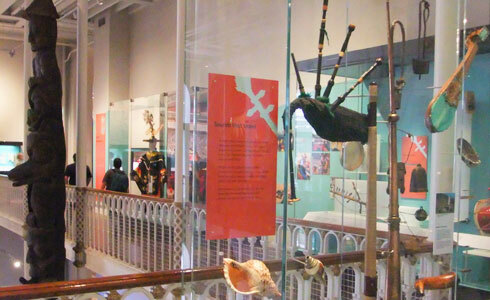 Those visitors enjoying our Scottish collections on Saturday may have been intrigued by the distant chants and song that filtered through the museum instead of the usual Edinburgh bagpipes. By the end of the afternoon there was a frenetic atmosphere in the space where 70 people had taken part in workshops and learned a lot about the sounds and instruments of the Middle East, Africa and Cuba. You will be able to see many of these instruments and more when they are on display in the Performance and Lives gallery opening in the redeveloped Royal Museum in summer 2011. ‘Sounds Global’ weekend launched our involvement in London’s 2012 Olympic Celebrations. Along with 14 other national UK partners, National Museums Scotland kicked off its project on this weekend to begin a two-year countdown to the games. Our ‘Sounds Global’ project will work with young people aged 14-24 and will focus on our musical instrument collection, culminating in an exhibition here in 2012. 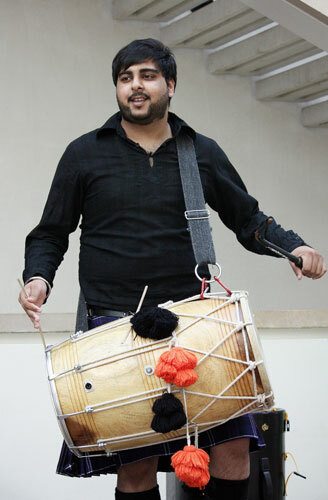 While Saturday’s music came from drums made of wood and animal hide, Sunday’s performers used laptops, iPods and mixing decks, as well as some traditional dhol drums. 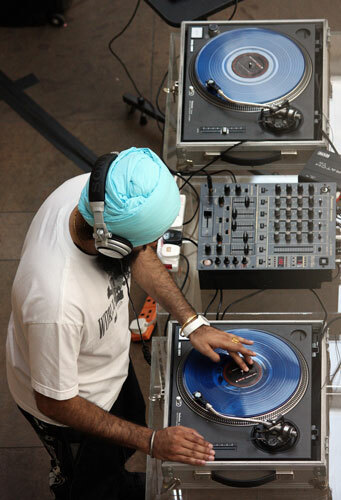 Tigerstyle, a DJ duo from Glasgow, brought Bhangra beats and the sound of Bollywood to the museum. Tigerstyle are classically trained in Punjabi instrumentation and folk yet merge this with contemporary hip hop and rap. This combination has won them a massive fan base around the world. This wasn’t the first time they had played in a museum: they’ve played at Berlin Museum before, as well as the opening of winter Olympics in Vancouver. Punjabi percussion courtesy of Tigerstyle. Photo © Jenni Sophia Fuchs. The crowd watch Tigerstyle perform. Photo © Jenni Sophia Fuchs. The Tigerstyle DJ rocks the museum Bhangra style. Photo © Jenni Sophia Fuchs. ‘Sounds Global’ will explore how pivotal music is to people all around the world. We’ll also explore how traditional instruments from around the world feature in the new music that young people in Scotland make and listen to, as well as hopefully using the digital recordings of world instruments that we have here in the museum to create new music ourselves. It’s a hybrid of Michael Jackson samples, Vanilla Ice and Bhangra!